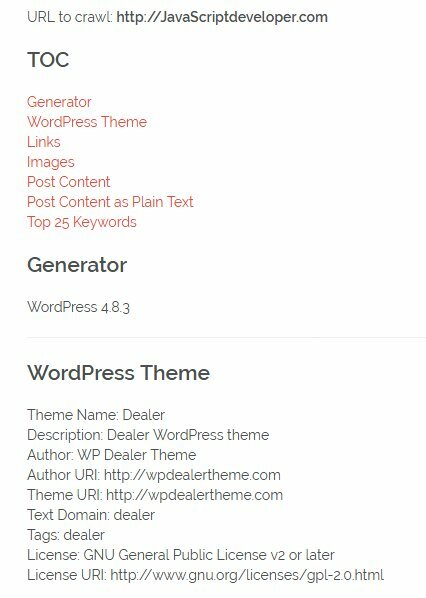 The version of the WordPress that the site is running. All the information about the theme: name, description, author, etc. All the internal and external links on the page. All the images on the page, with the actual image and the URL to it. 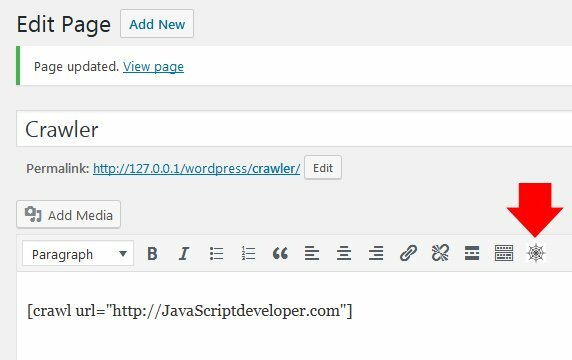 The entire content of the post/page is retrieved and displayed using the style of your active theme. The content with the tags removed. That’s how Google and other search spiders see your page. The software analyses the page SEO to identify what the page is all about, and displays the top 25 keywords identified.